LAST GAME 10/26/14: Bills 43 at Jets 23. Buffalo rookie WR Sammy Watkins has three catches for 157 yards, including 84-yarder & TD. Bills defense has 4 sacks, 4 INTs and forces 3 fumbles. LAST GAME AT SITE 11/17/13: Bills 37, Jets 14. Buffalo rookie QB EJ Manuel throws for 245 yards & 2 TDs. Bills defense records 4 sacks & 3 INTs, including S Da’Norris Searcy’s 32-yard INT-TD. BROADCAST CBS (1:00 PM ET): Spero Dedes, Solomon Wilcots. SIRIUS: 133 (NYJ), 108 (Buf.). XM: 229 (Buf.). 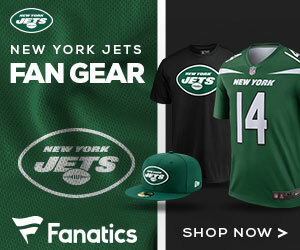 JETS: In 2 starts with NYJ, QB MICHAEL VICK has completed 31 of 46 (67.4 pct.) for 328 yards & 3 TDs vs. 0 INTs for 109.7 rating. Rushed for 39 yards vs. Pit. & became 1st QB in NFL history with 6,000 career (6,006). Has 223 rush yards in 3 career meetings, incl. 69 yards on 10/26/14…RB CHRIS IVORY has 3 rush TDs in past 2 vs. Buf, incl. 2 in last meeting. Since entering NFL in 2008, RB CHRIS JOHNSON ranks 2nd in NFL with 8,325 rush yards…In only road game with Jets (Week 9 vs. KC), WR PERCY HARVIN led team in catches (11) & yards (129). Since entering NFL in 2010, WR ERIC DECKER has 37 TD catches, tied for most among AFC WRs (MIKE WALLACE). JACE AMARO (Round 2, No. 49 overall) leads NFL rookie TEs in catches (34) & rec. yards (291). Had TD catch vs. Pit…LB DEMARIO DAVIS leads team with 74 tackles. In Wk. 10 vs. Pit., S JAIQUAWN JARRET became 1st NFL player with 2 INTs, sack & FR in game since 2009 (CHARLES WOODSON)…BILLS: In last meeting, QB KYLE ORTON completed 10 of 17 for 238 yards & 4 TDs vs. 0 INTs for 142.8 rating, 1st player since 1990 with 10 or fewer comp. & 4+ TDs in game (BUBBY BRISTER). Orton’s teams are 12-3 (.800) when he starts & posts 100+ rating…RB FRED JACKSON (5,370 rush; 2,439 rec.) needs 61 rec. yards to join HOFer THURMAN THOMAS as only Bills with 5,000+ career rush & 2,500+ rec. yards. In last home game (Week 10), RB BOOBIE DIXON led team with season-high 62 yards on 9 att. (6.9 avg.). In past 2, RB BRYCE BROWN has 13 rec. for 122 yards (9.4 avg. )…WR SAMMY WATKINS (No. 4 overall) leads AFC rookies in rec. yards (649) on 45 catches with 5 TDs. In only career meeting, had 3 rec. for 157 yards & TD with single-game club record 52.3 rec. avg…Bills lead league with 39 sacks & are only NFL team with 2 players with 10+ sacks each (DE MARIO WILLIAMS & DT MARCELL DAREUS). Williams had season-high 3.5 sacks vs. Mia. & now has 5 career 10-sack seasons. Dareus leads NFL DTs with 10 sacks. Rookie LB PRESTON BROWN (Rd. 3, No. 73 overall) leads team with 73 tackles.